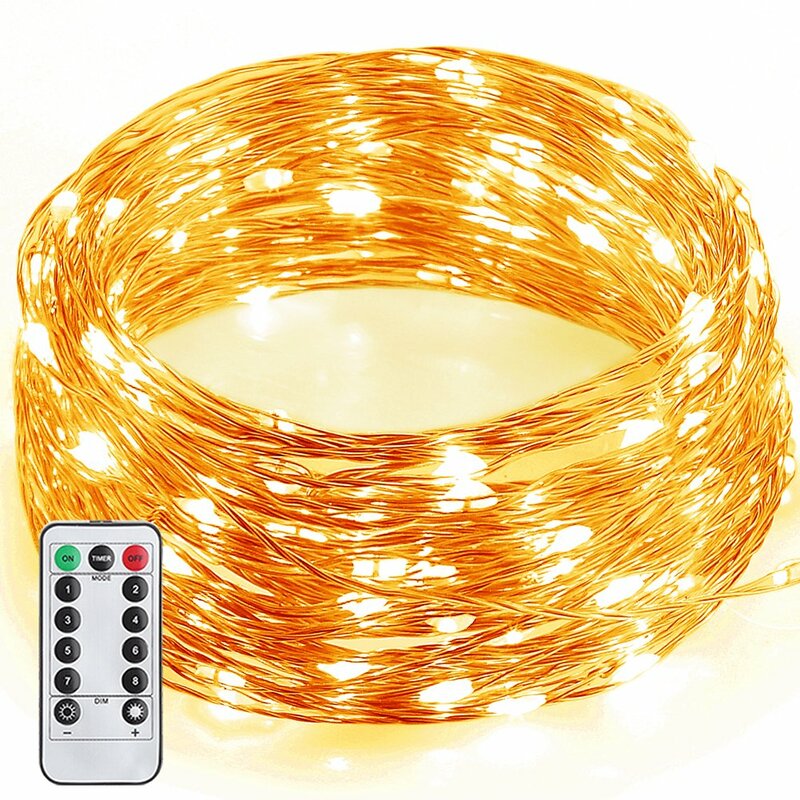 Home › Energy-Efficient LED Lighting › Gdealer 8 Modes String Lights 33Ft 100Led Copper Wire Fairy Starry String Lig..
Gdealer 8 Modes String Lights 33Ft 100Led Copper Wire Fairy Starry String Lig..
Easy Operation: With 13 keys Remote Control, you can adjust the Brightness or switch to flash/strobe/fade lighting modes. Timing Function: set timer, lights will be 6 hours on and 18 hours off per day. Portable: With the small battery compartment, you can easily carry and place the lights anywhere you like(batteries not included). Wide Application: These lights are waterproof and perfect for spicing-up your decor or setting the mood for a party. Great for use in a restaurant or small business. Guaranteed with CE certification. 180 days money back or replacement warranty.